Welcome to Slot Machines Online! We would like to tell you a bit about ourselves and about SlotMachinesOnline.co. My name is Mark. My partner and I have been playing slots machines online and offline for the past 20 years. Looking back, there were hundreds of times when we said “I wish someone have told me not to play at that casino or to check this new slot, or to use a different strategy” and so forth. After visiting hundreds of slot reviews sites and reading the same reviews, we had the idea of setting up this site, written by actual players. We shared it with one of our friends, who has recently quit his job after working for 7 years in online casino industry and he decided to join us in this project. 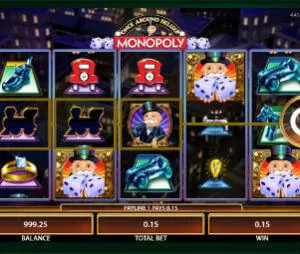 We hope that together we will be able to offer you a complete guide for playing Slot Machines online, from players perspective combined with insider knowledge. Whether you are here to play slot machines for real money or just looking for free online slots, we hope that you will find all the necessary information that you are looking for. Last: although we’ve all worked in English and me and my wife spent few years in UK and US, we are not native English speakers. In the beginning we thought to hire a content writer to go over all our content, but we felt that it will compromise the whole idea of the site . Therefore, we apologize in advance for any grammar mistakes – feel free to drop us a mail if you see one.